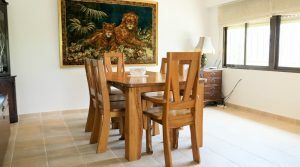 One of our luxury villas for sale Valencia situated on the desirable Urbanisation, the Masia Pavia. 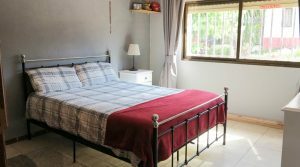 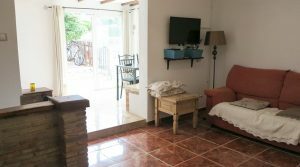 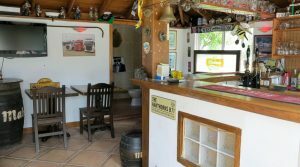 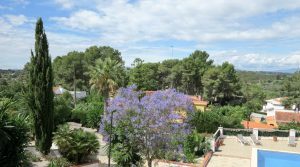 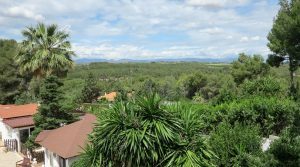 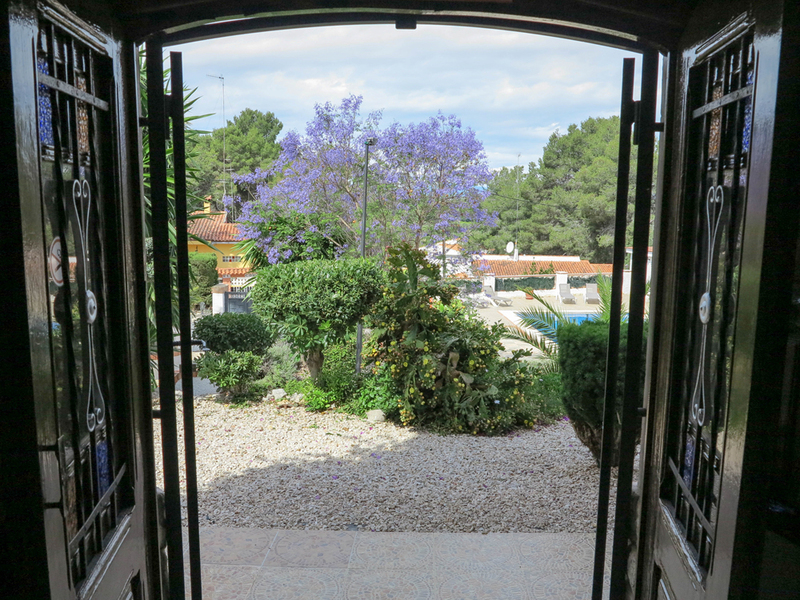 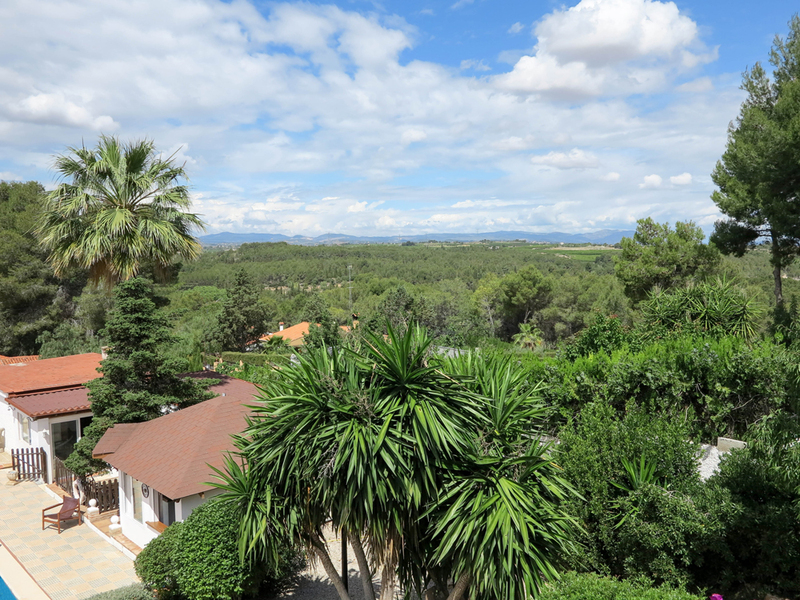 The property is walking distance to the Masia Pavia restaurant and bar and it enjoys a very good location with the best views. 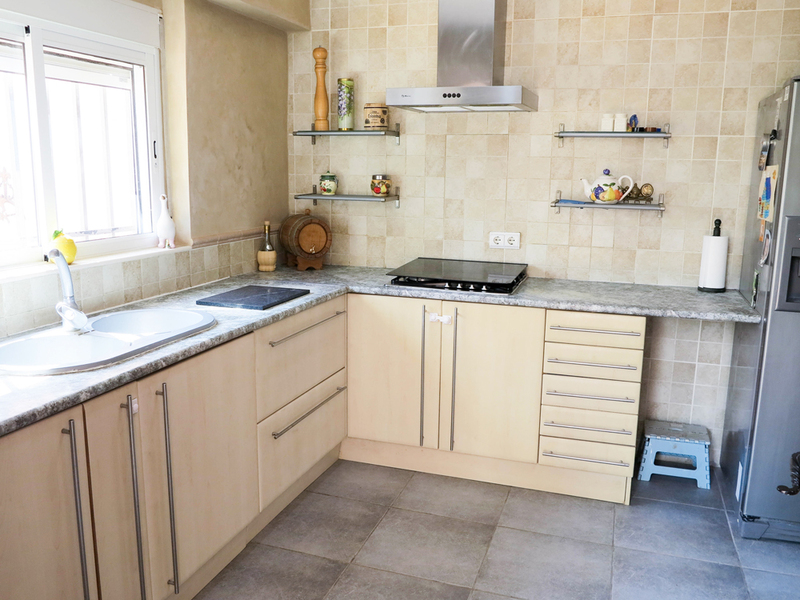 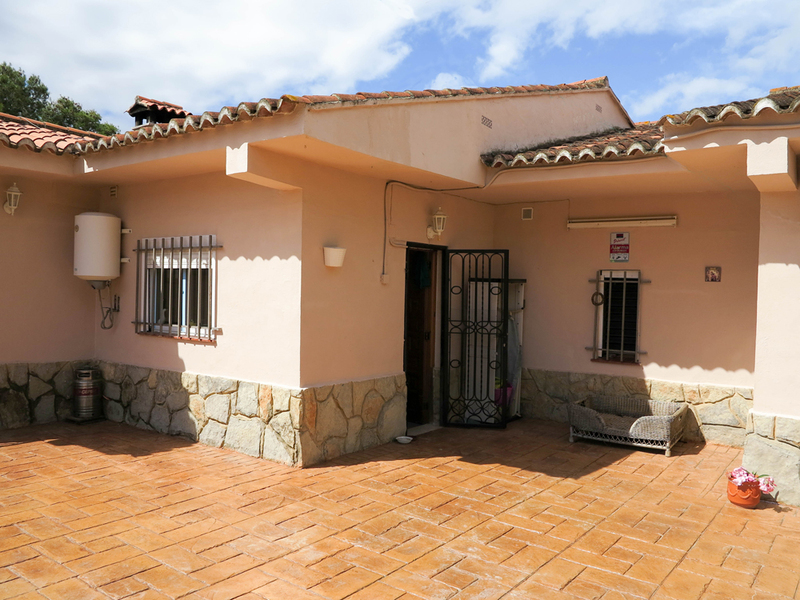 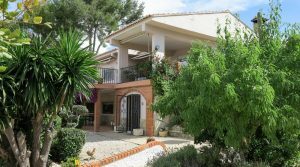 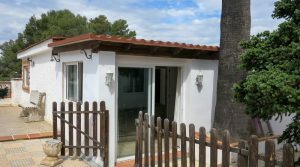 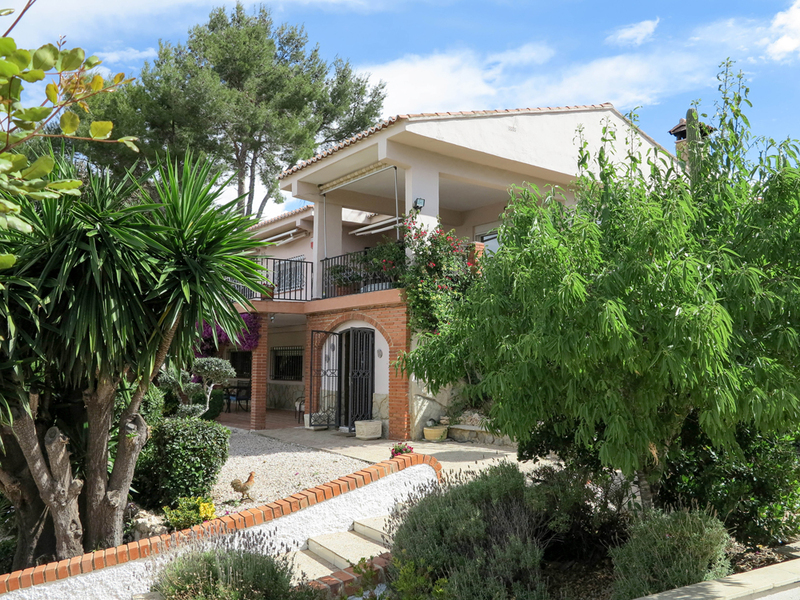 This attractive urbano villa for sale in Valencia is situated on the border between Turis and Torrent. 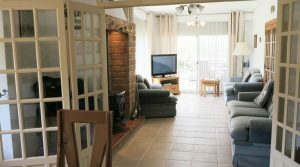 It is closer to Torrent, therefore only 15 – 20 minutes drive from Torrent retail park and the metro train station. 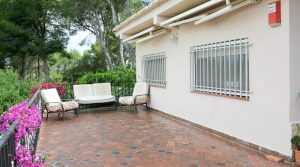 On entering the grounds of this fully fenced property you see that it certainly has the WOW factor. 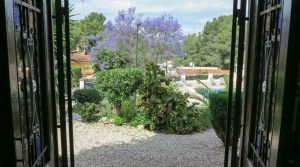 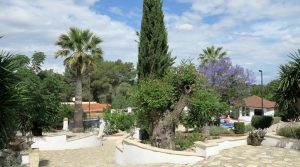 With beautifully landscaped gardens and hand laid stone driveway and paths distributed throughout the manicured Mediterranean gardens. 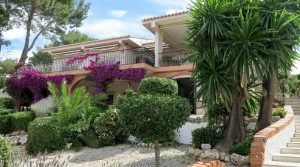 The villa sits on the highest part of the plot with a gradual incline pathway and stairs leading you up to the front entrance, thus giving it the best-unspoiled views. 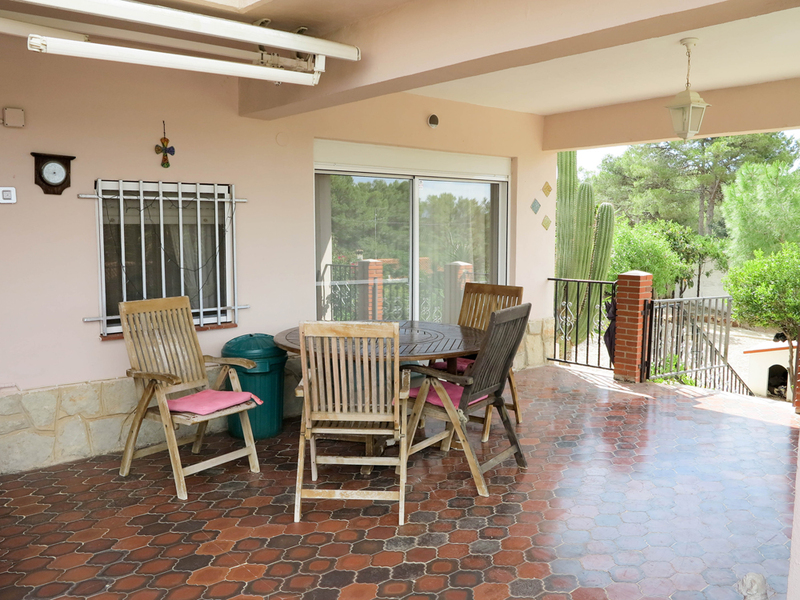 The main living area is located on the first floor where you have a large terrace, which is partly covered and open enjoying the best panoramic views. 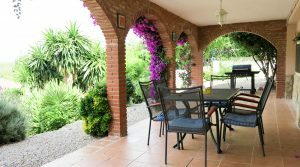 This large terrace has a covered area where the terrace table and chairs are situated in the shade, then you have three new awnings that wind out so as to create more shaded areas on the open parts, as this is all south facing. 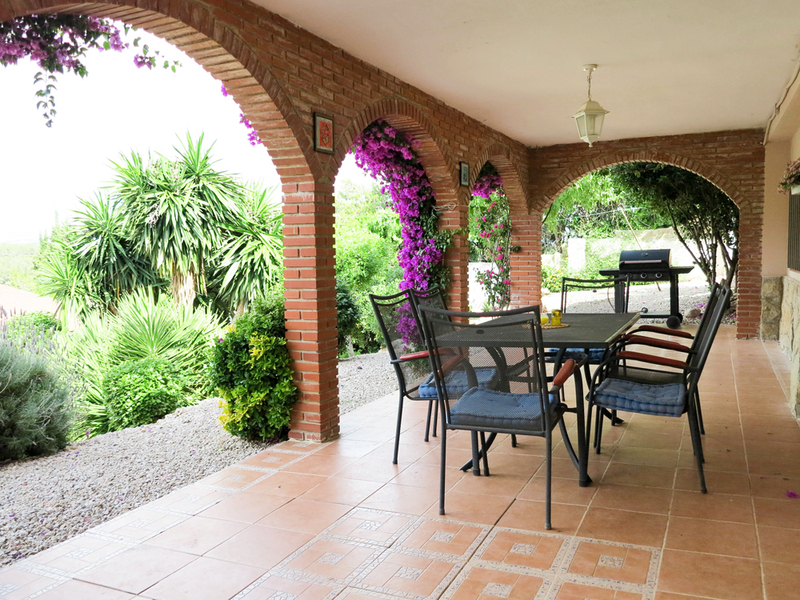 This front terrace is a great space to sit and enjoy a meal with good views. 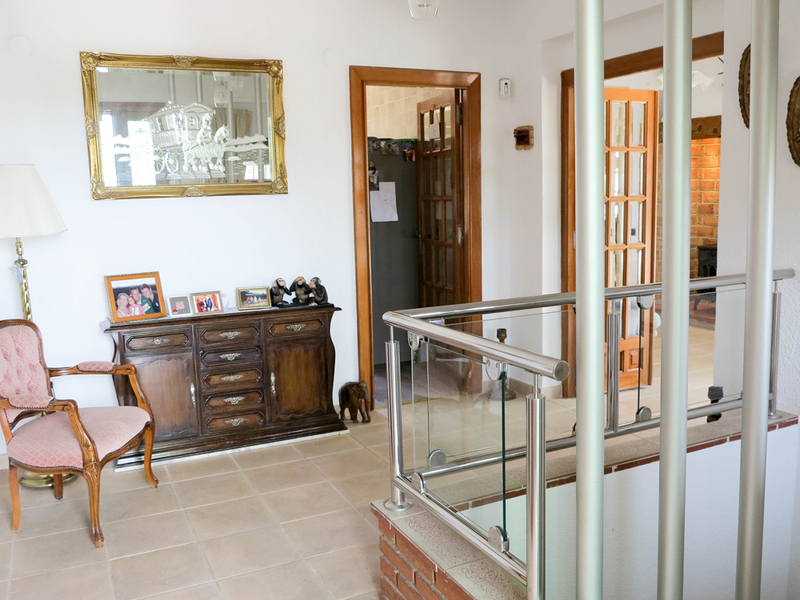 Entering the villa you have a central reception hallway which has the staircase taking you down to the ground floor and which also distributes to the main rooms here on this first floor. 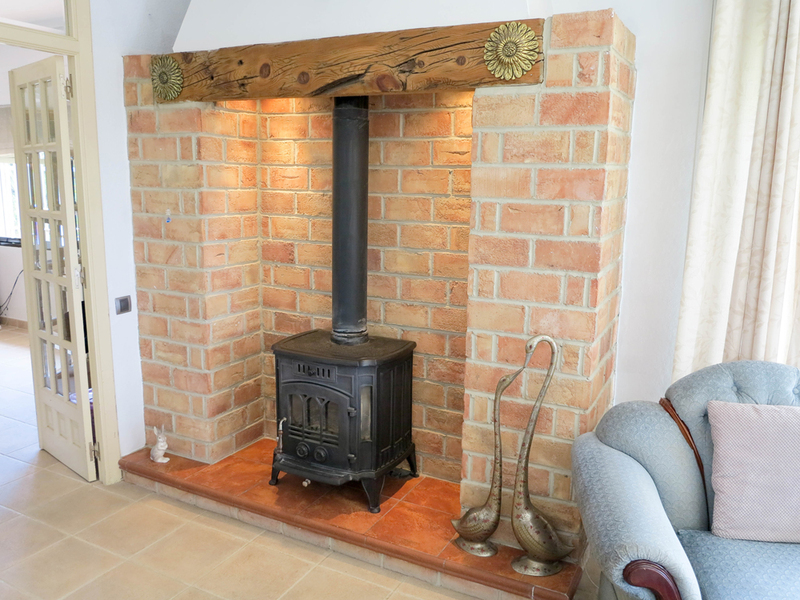 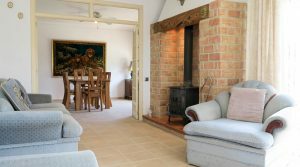 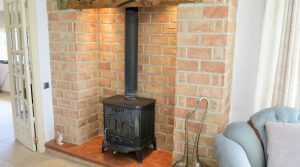 Leading through to the large lounge/dining room, this is complete with a log burning stove and with hot/cold air conditioning. 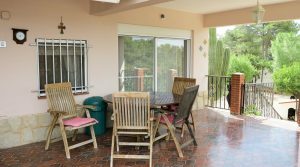 The lounge has patio doors taking you out to the front covered terrace and it also has other patio doors on the side, that takes you out to a private balcony terrace overlooking the gardens. 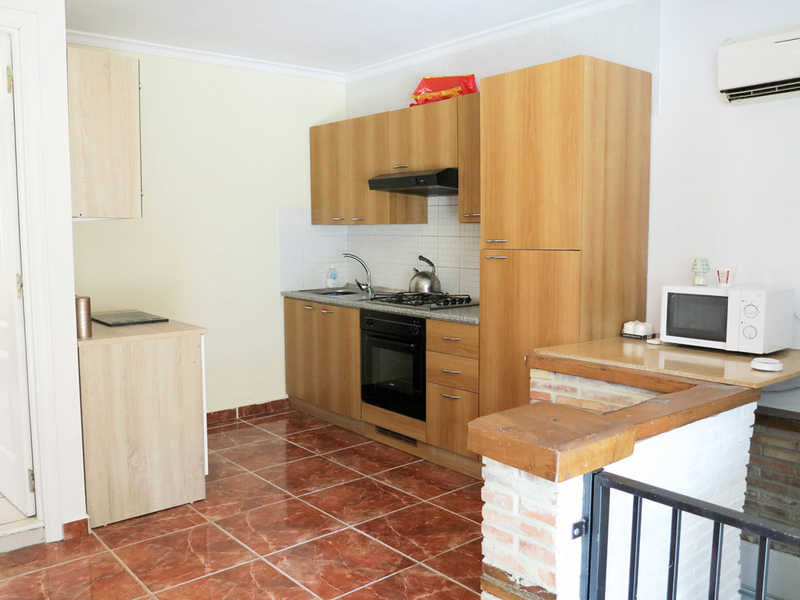 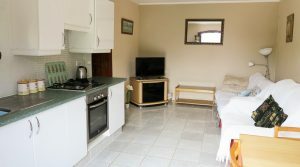 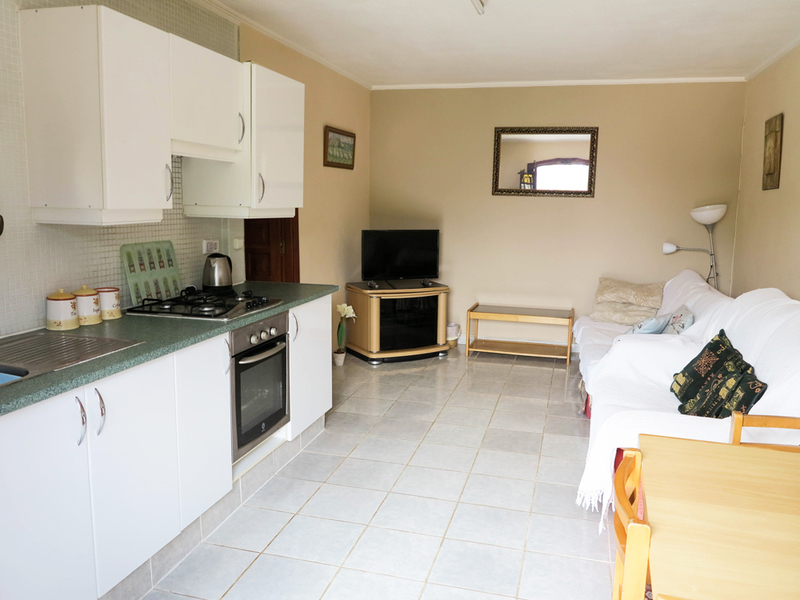 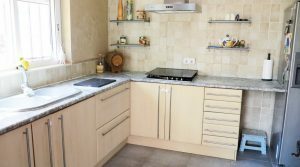 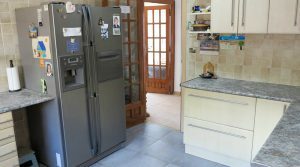 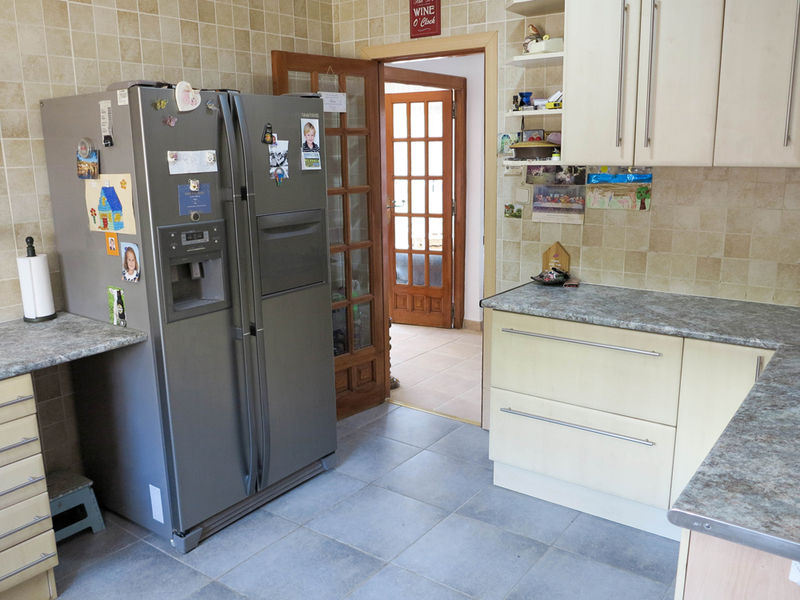 There is a fully fitted modern kitchen with many units and all electro-domestic appliances. 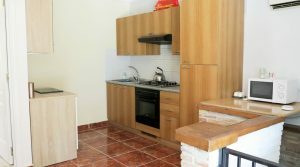 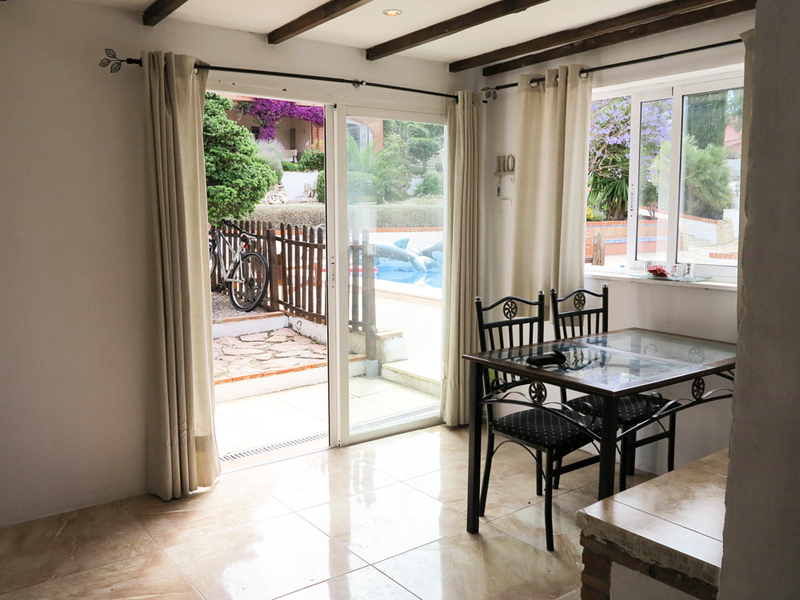 The kitchen also has a door taking you out to the rear terrace of the villa. 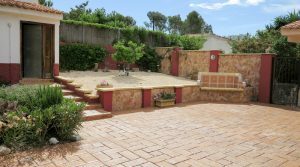 This rear terrace is a charming area with a coloured concrete impression floor and seating areas both covered and open. 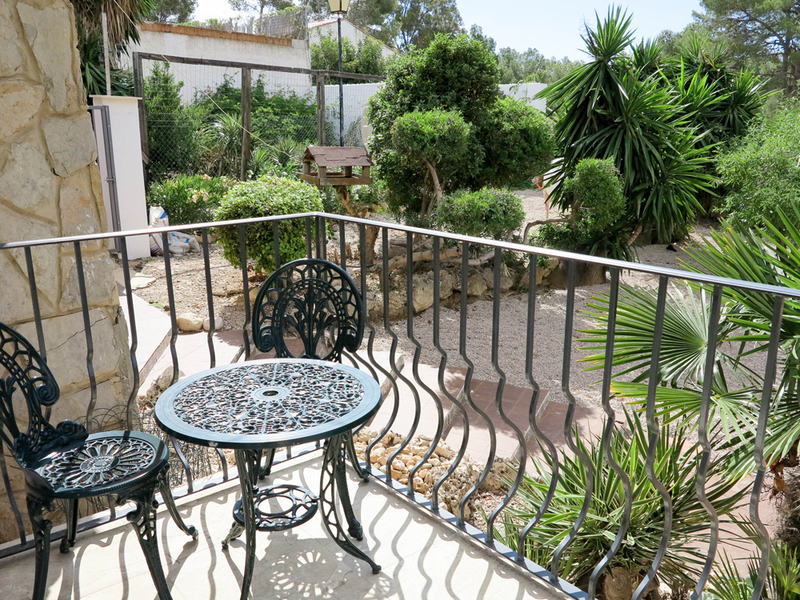 There is a paella house located here and with a utility room both in a separate building at the back part of this terrace. 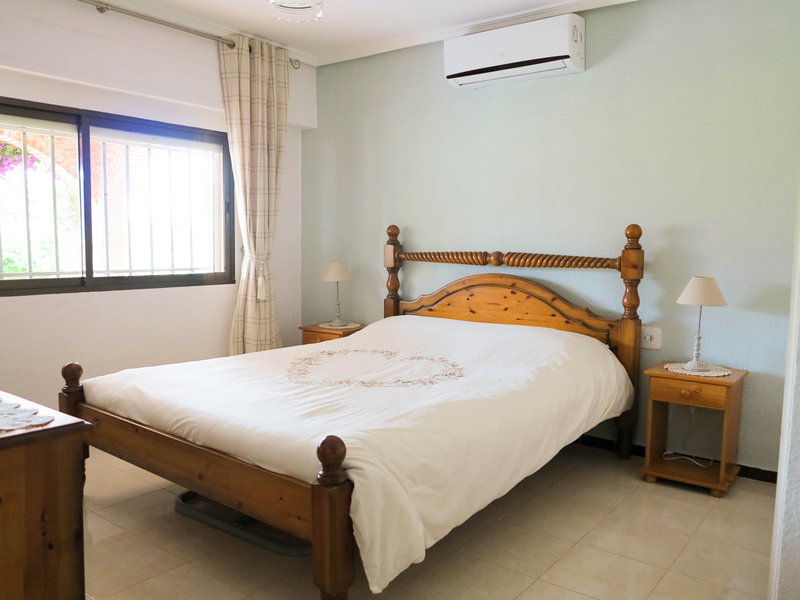 Back inside the villa on this main floor, there are three double bedrooms, each with fitted wardrobes, ceiling fans and with hot/cold air conditioning. 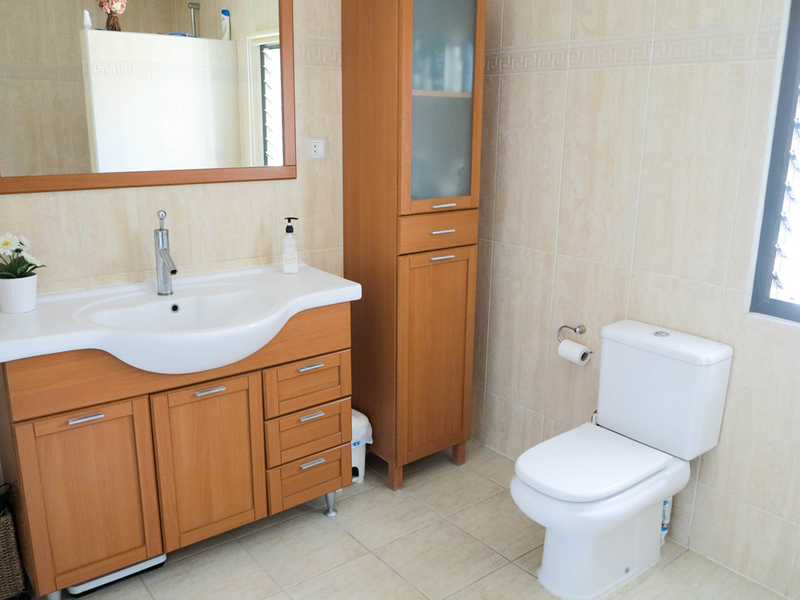 Then you have a large family wet room/shower room, which is also modern in design. 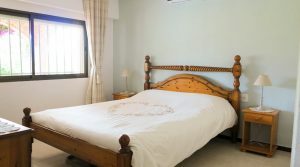 Downstairs on the ground floor, there are two further double bedrooms, another large wet room/shower room and a lounge/dining room complete with a kitchenette. 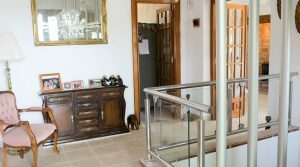 This ground floor area can actually be shut off from the upstairs as there is a door at the bottom of the internal staircase. 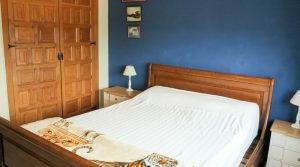 The ground floor has its own very charming front door entrance, therefore this can be used as a completely independent spacious two bedroom apartment if desired for your guests. 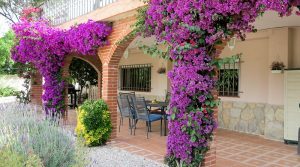 Outside the front of this ground floor, you have the prettiest covered terrace which is arched and with bougainvillea growing on the walls. 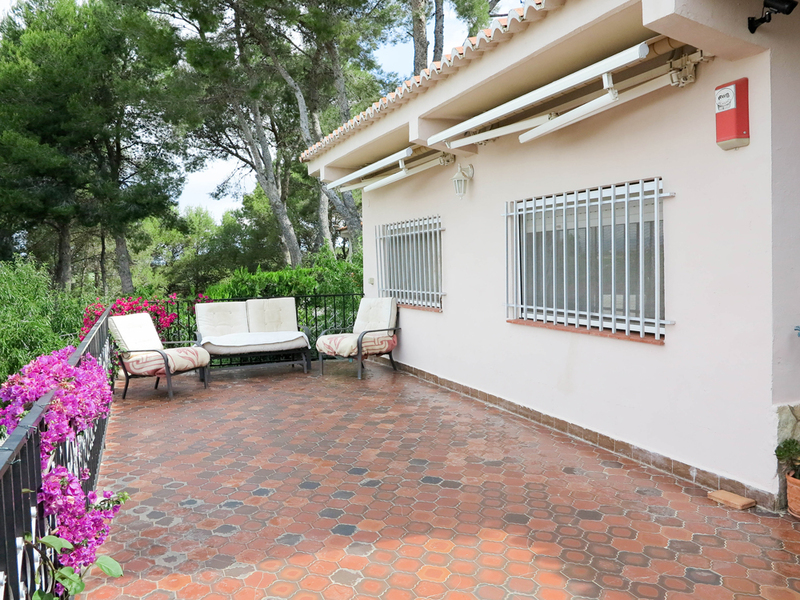 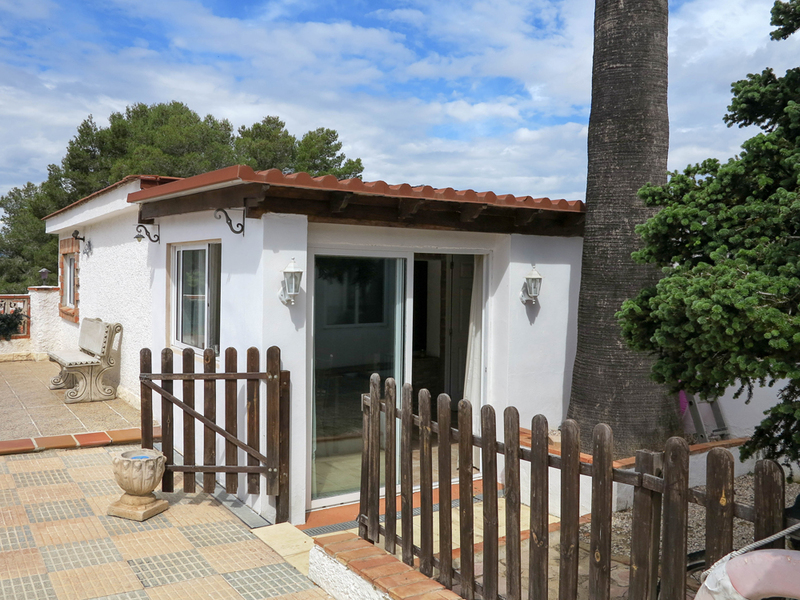 This large covered terrace has a tiled floor and it is presented very well with a barbecue area at the far end. 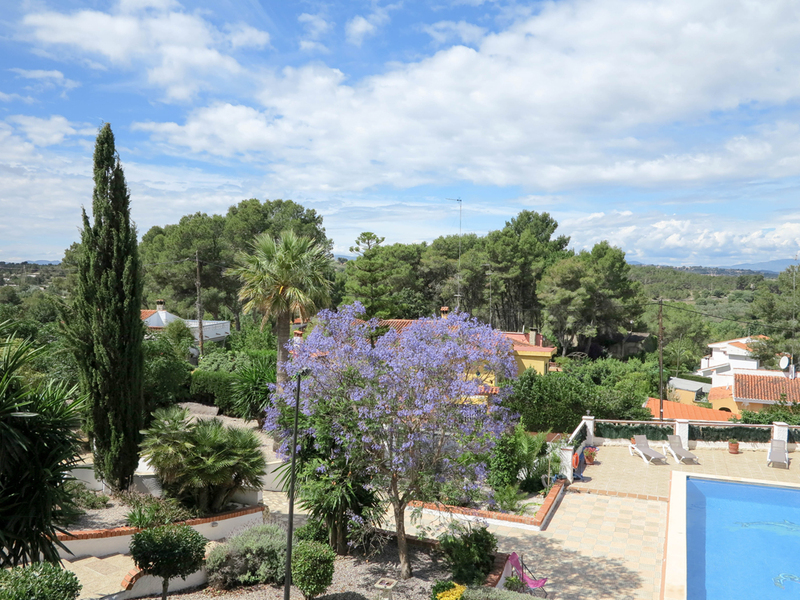 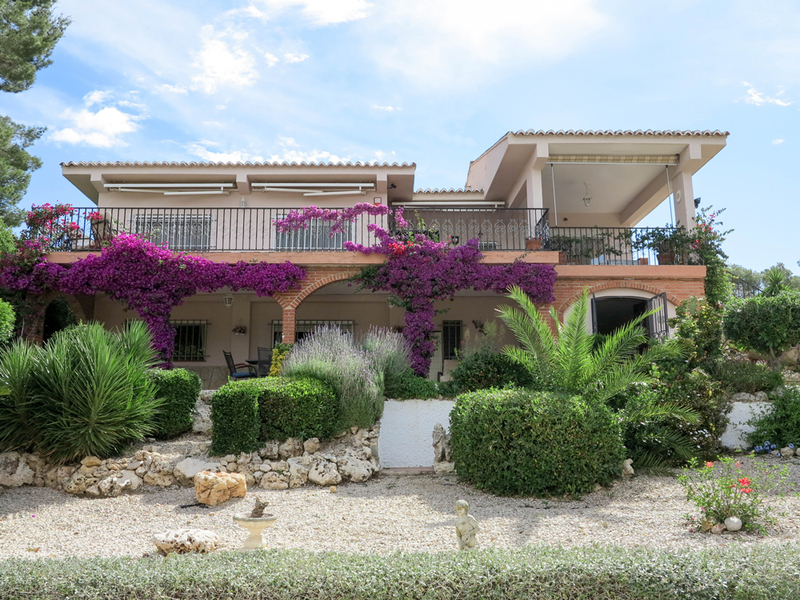 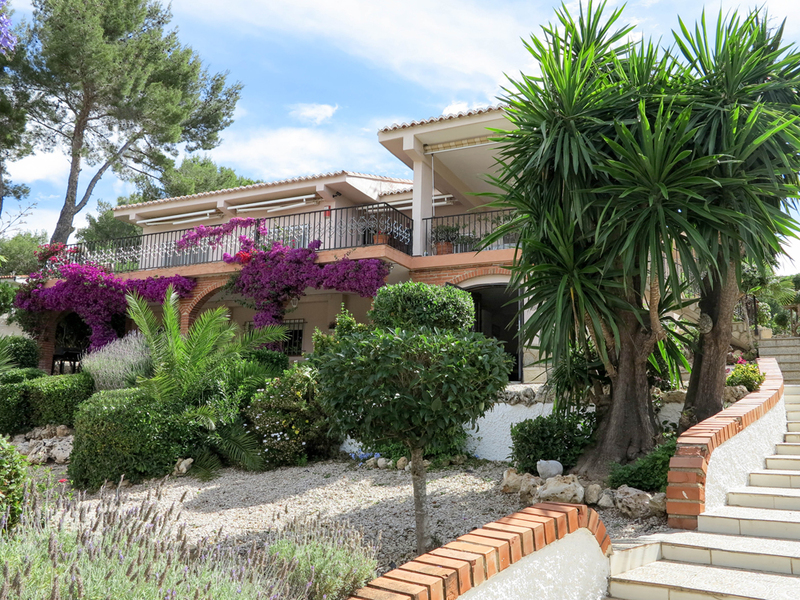 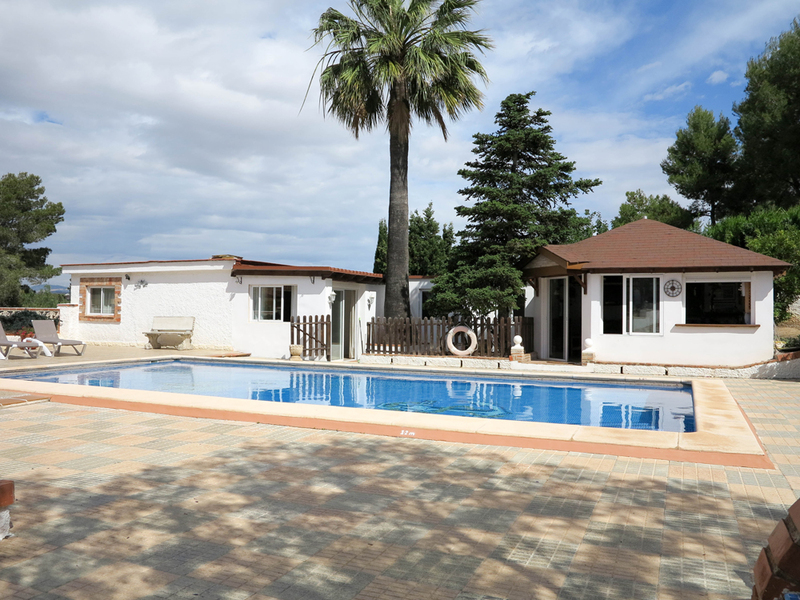 The villa has a lovely 10m x 5m tiled swimming pool, which is private and not overlooked. 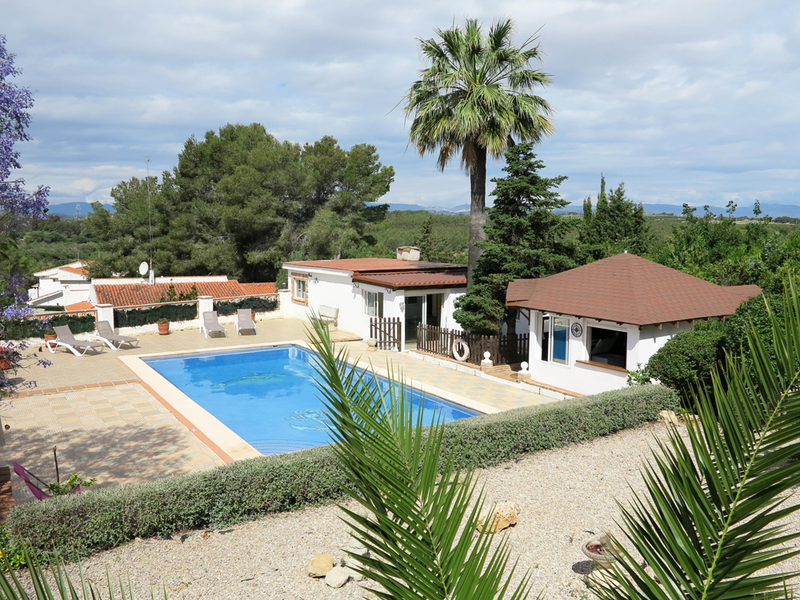 There is a large terrace surrounding the swimming pool where you have a fantastic bar/entertaining room. 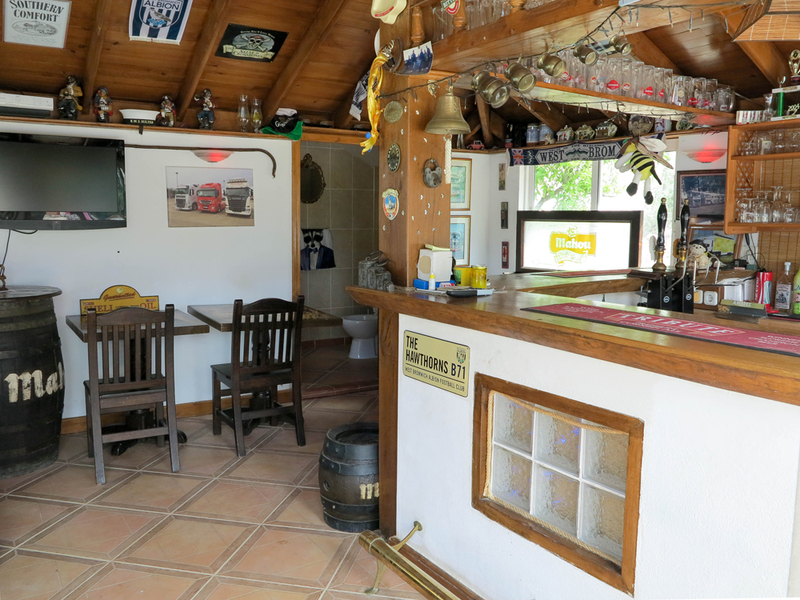 This is a purpose build bar, complete with its own W.C. and it is the ideal place to entertain with your friends, family, and guests. 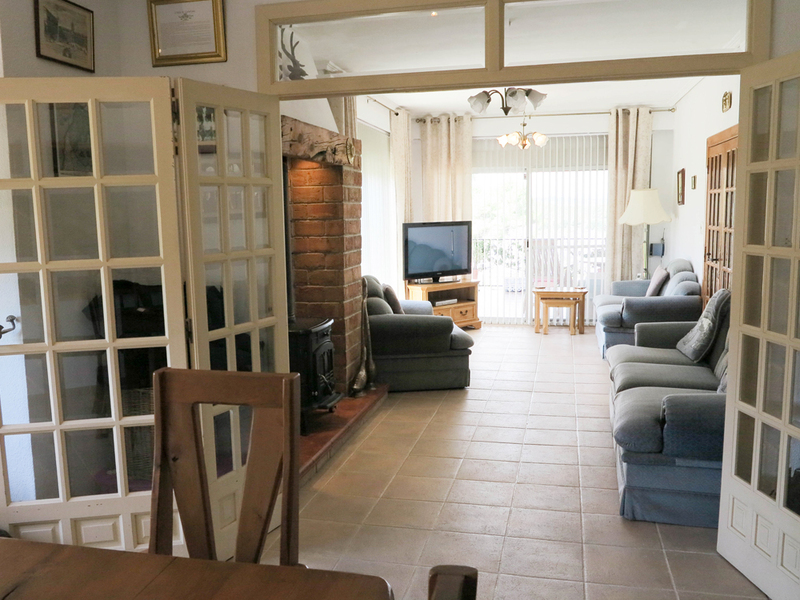 On the other side of the swimming pool terrace, you have another well presented two bedroom apartment complete with a lounge/dining room and open plan kitchen, together with a bathroom with a walk-in shower. 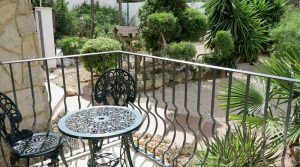 This apartment has hot/cold air conditioning and patio doors with a small private terrace at the front. 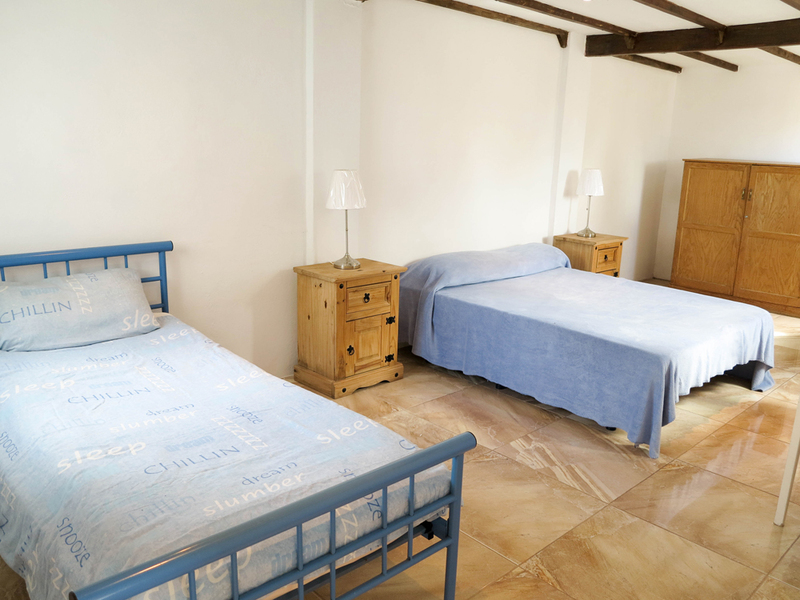 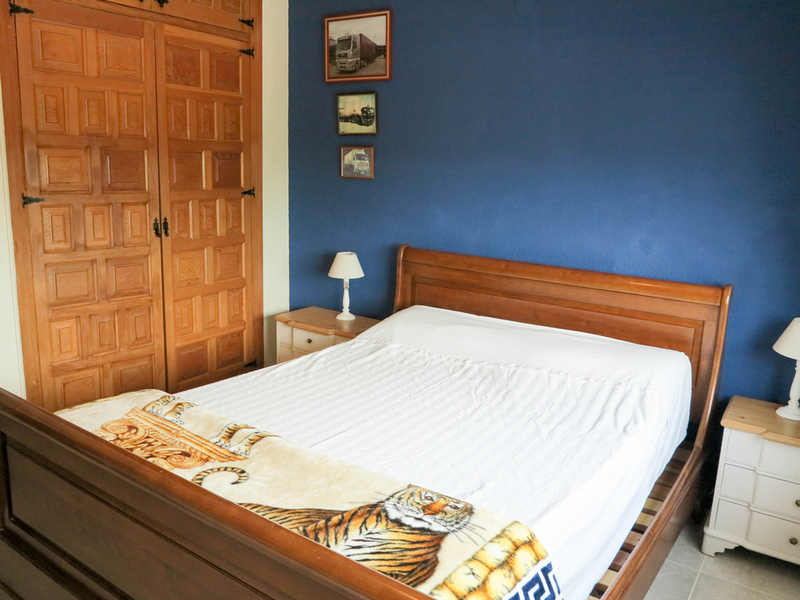 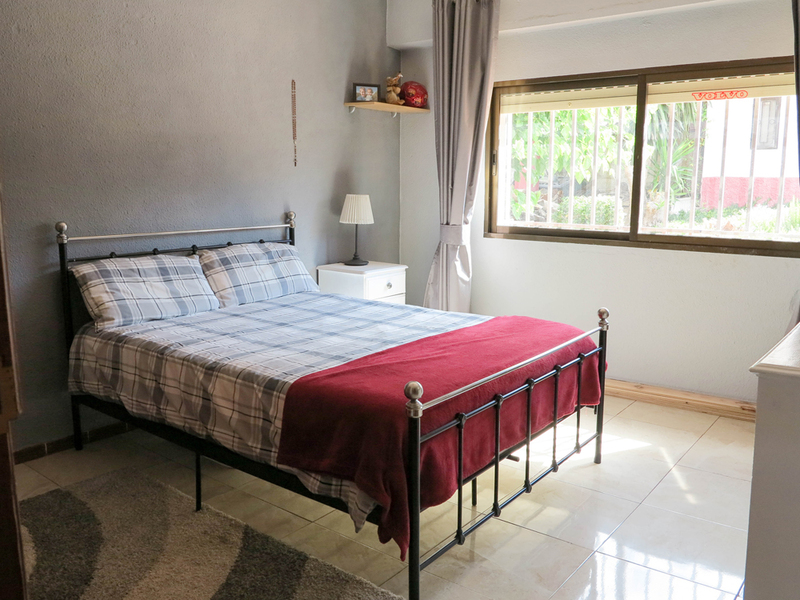 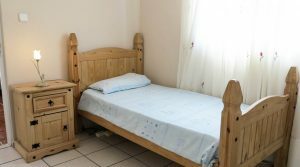 As this large property has the two separate apartments, it is ideal to be used as a guest house so you can potentially earn money from rentals if required. 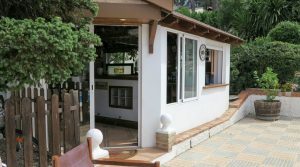 There would always be a high demand for this in this area and this particular location. 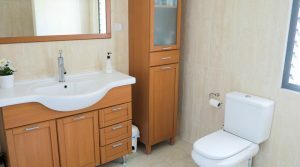 Being that the apartments are completely separate from the main living area, this ensures your privacy from any guests should you choose to do this. 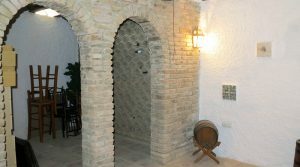 In the underbuild area of the apartment and the poolside apartment, you have access to a wonderful wine cellar (Bodega). 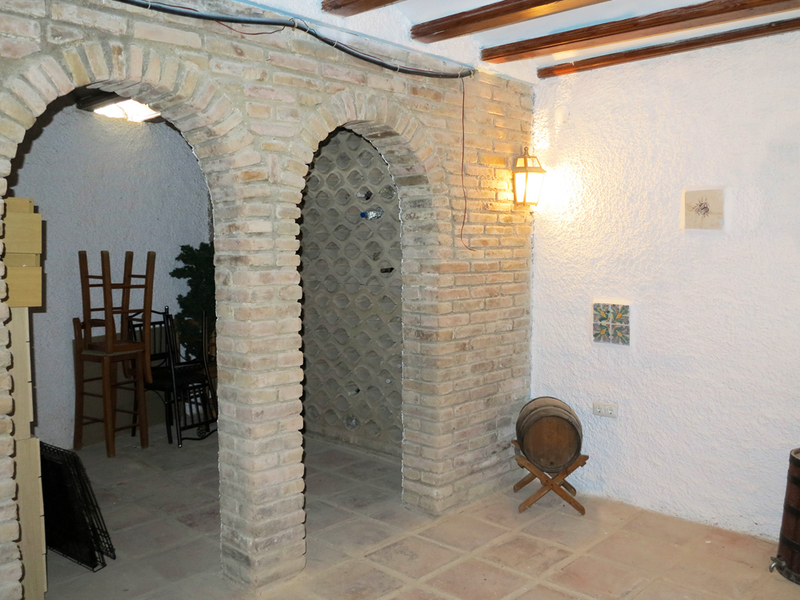 This is a great feature and maintains a good ambient temperature, ideal for wine storage. 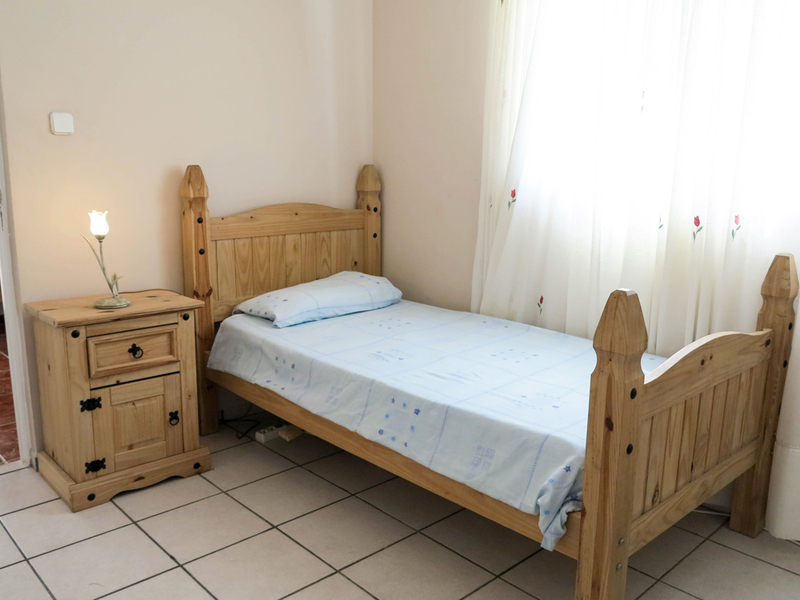 This is a generous size room with good ceiling height. 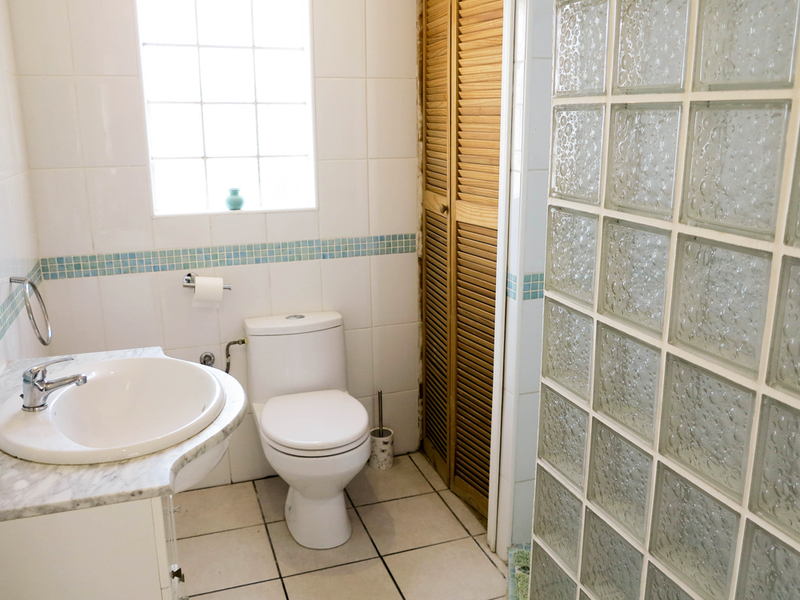 The owners have started to convert an area of this wine cellar so as to make a small bathroom down here. 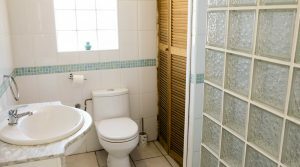 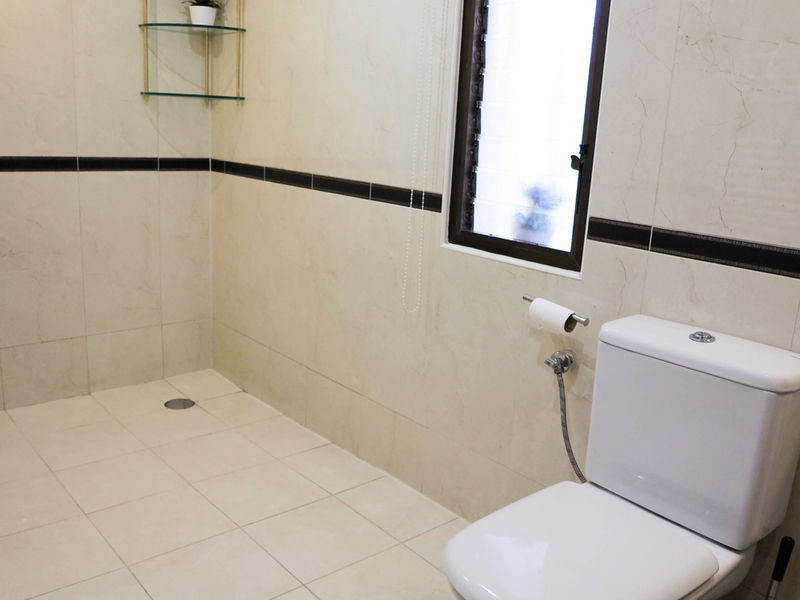 It has been pre-installed with the plumbing and the building of the bathroom walls is all completed and rendered. 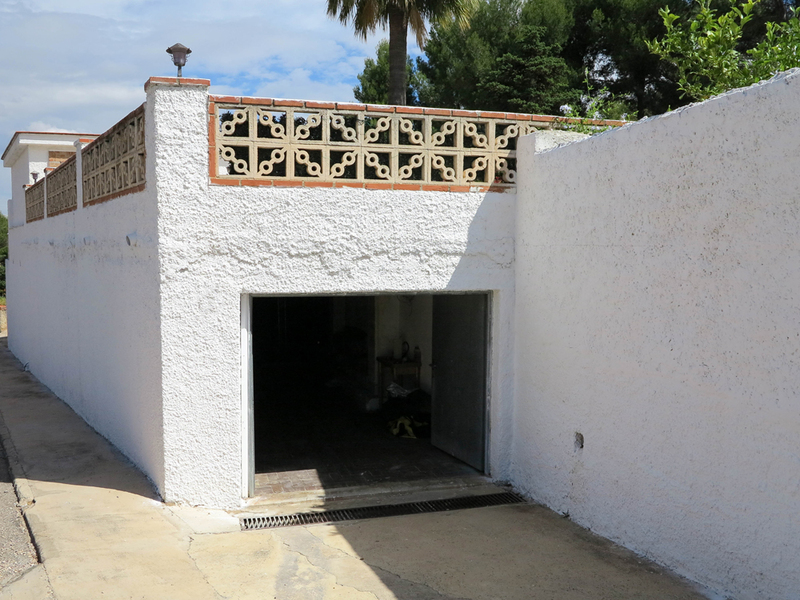 The wine cellar has a door taking you into the back of the very spacious garage which is large enough for three cars. 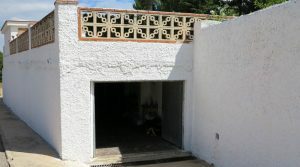 This generously sized garage has water and electricity connected and has a workshop area. 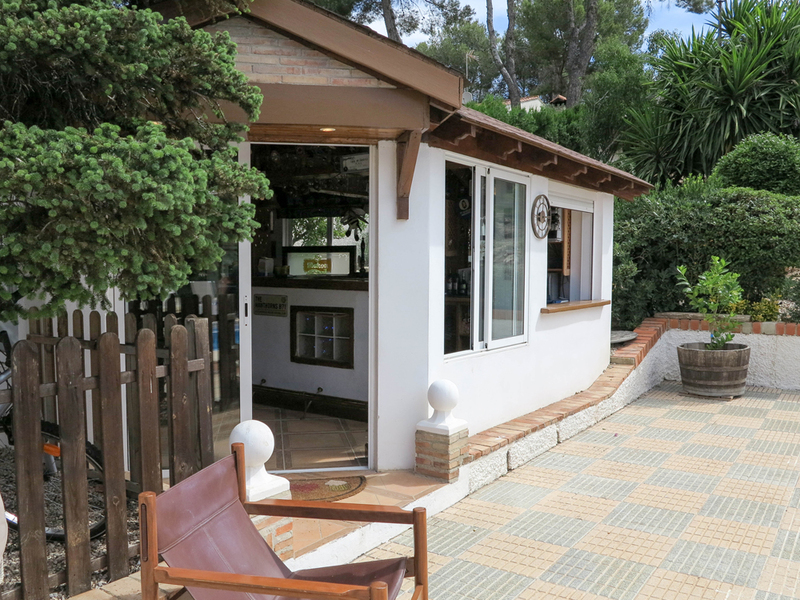 The garage obviously opens out onto the road at the front of the villa. 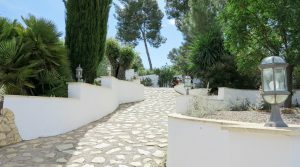 The road is only shared by the neighbours, so does not get much passing traffic as this property is situated at the end, which is a good feature. 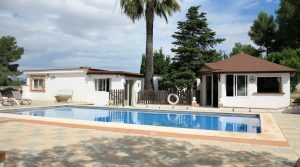 Adjacent to the garage, there is a separate room where the filtration system for the swimming pool is all kept correctly, together with the water supplies for the automatic irrigations systems that manages the watering of all the gardens. 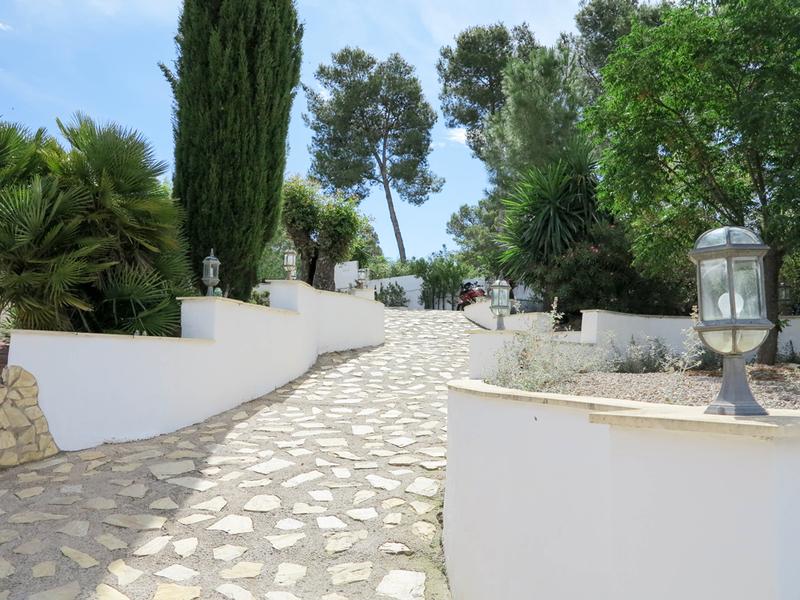 From the driveway at the entrance, this takes you up to a large private parking area on the right side of the villa. 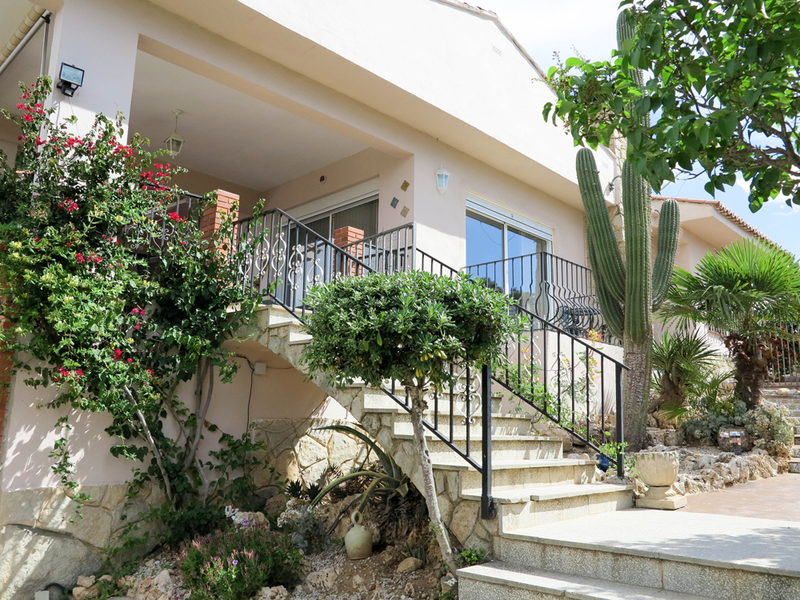 This parking area is at the same level as the main villa, so making it easier to unload your car directly into the house. 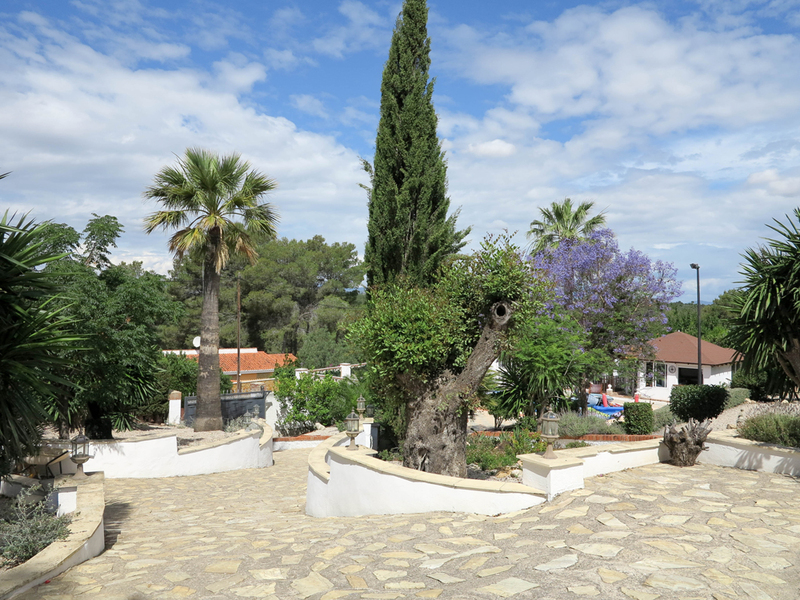 Within the gardens, you have a wide range of Mediterranean plants and trees. 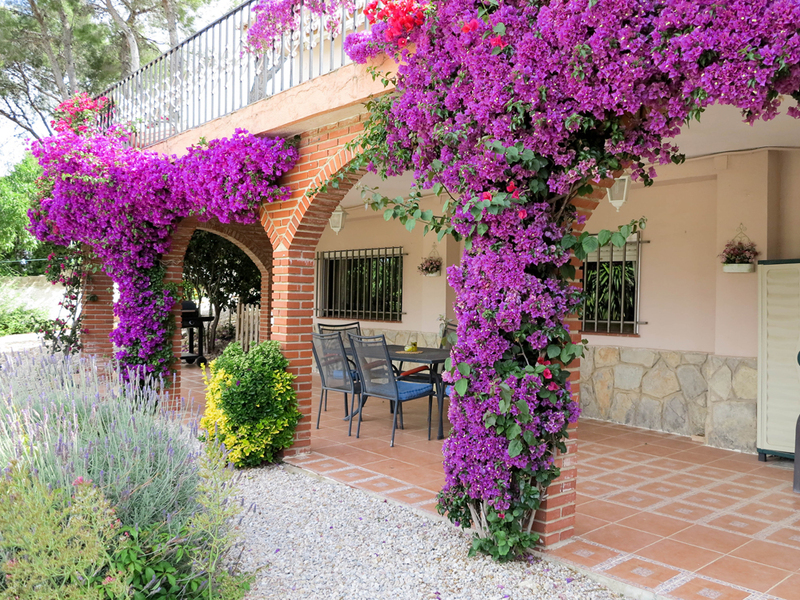 These include a choice of palm trees, orange, lemon, pomegranate, almond and olive trees, complemented by tasteful bordering plants and flowering shrubs. 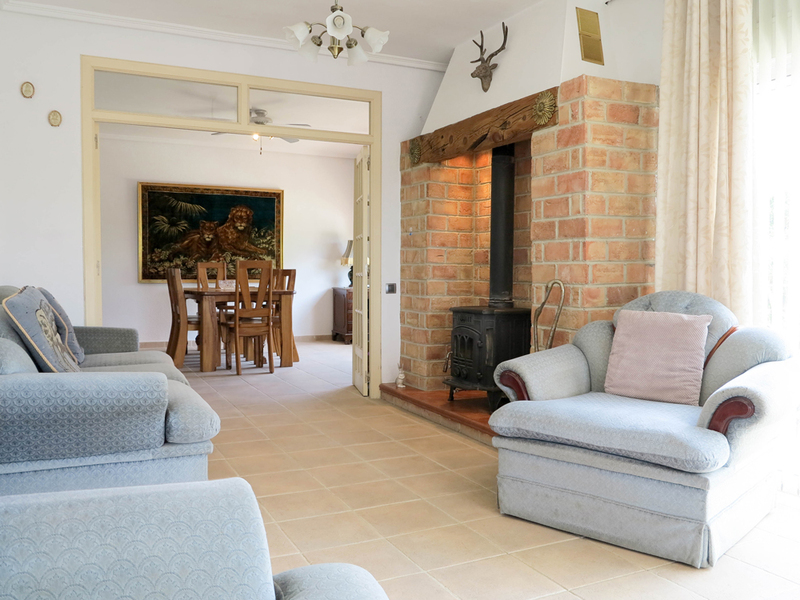 So much care and detail has gone into making this property how it is presented today. 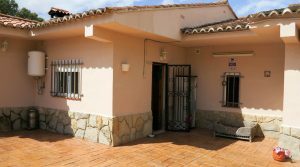 This is a very desirable home that also offers you the potential to be used to generate an income as a guest house if you desired. 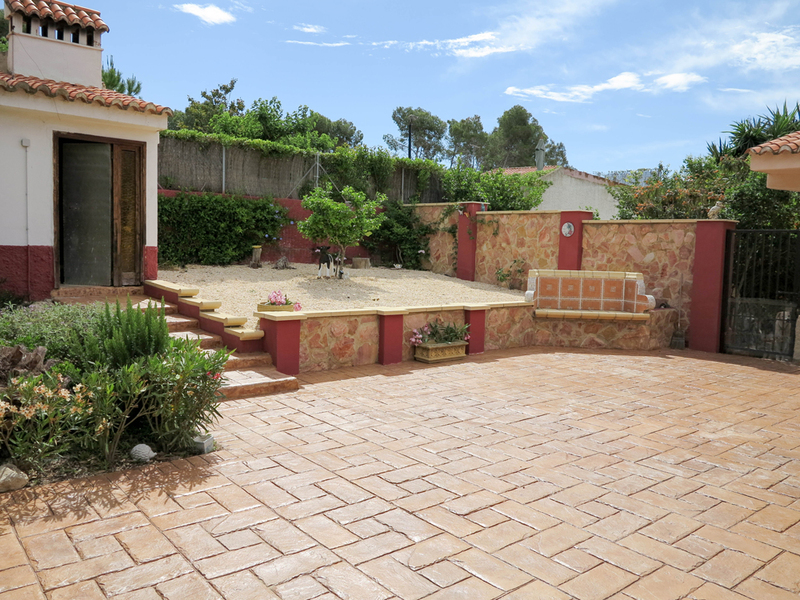 Or it is the perfect property for a large family located in a good area. 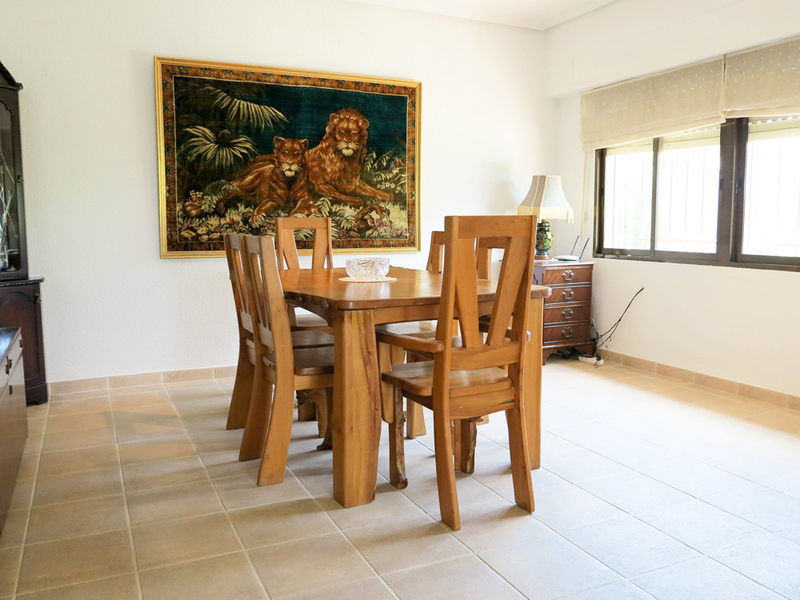 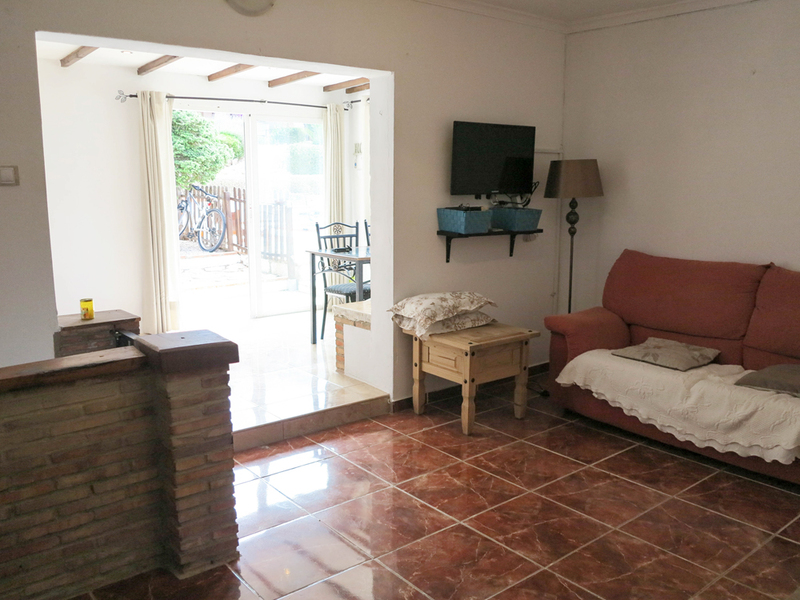 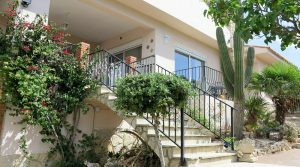 The villa is being sold partly furnished.